Check out Dog Diaries: Happy Howlidays! from Steven Butler and James Patterson, illustrated by Richard Watson! 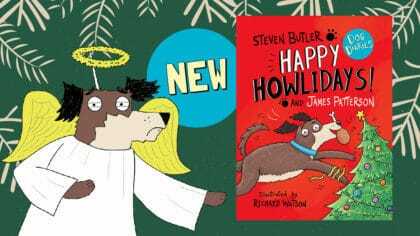 There’s a brand new book in the hilarious Dog Diaries series from Steven Butler and James Patterson, illustrated by Richard Watson. The book is called Happy Howlidays and features Junior Catch-A-Doggy-Bone, and his doggy pals on a journey through the Howl-iday Season. 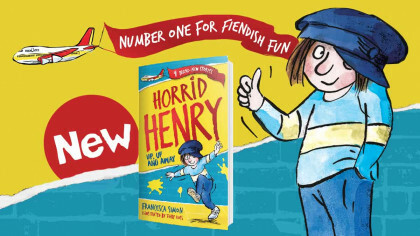 He learns all about Fangs Giving, Crisp-Mouth and the mysterious Saint Lick. Plus, Bex had a chat with Dog Diaries author Steven Butler earlier in December – check it out below!